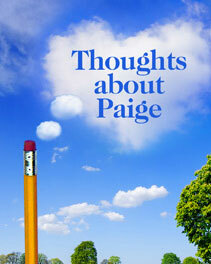 “Paige has done so much to help turn my relationship with money around! I had a great experience with the Money class and am still getting loads of benefit from what I learned. “I highly recommend Playing The Tax Game class! I took it this weekend and know that it more than paid for itself with just one tax deduction that I discovered. Paige covers in detail the best way to structure your business and then how to optimize your tax position. She uses a practical, no-nonsense approach to understanding your business entity and establishing it in a way that provides you with maximum benefit. “After my class with Paige I now understand that not only was my money out of control, but so was my life. Paige created a safe environment for me to explore the possibilities. My thoughts about money have completely changed. This isn’t your normal money class. While we had a TON of homework I also felt like I was going to counseling. As I looked at my money and where it was going, I started to uncover things (some painful) about my life and my thoughts. I equate it a lot to cleaning out my closet. When I do spring cleaning in my closet I feel lighter, in control and NEW stuff can come in. The same has happened to me during the money class. My thoughts and life shifted and so did I. “This class had very powerful value for me because of its emphasis on “work” both in and outside of class. I have a background in accounting instruction and in metaphysics and in neither place had I found the unique emphasis on the “energy” associated with money that I found in this workshop.